Action: To access the feature, you need to create a new environment and on the Database Stack environment option, select No Database. We have been testing database-less environments for the last couple of months and we are happy to announce its GA release today. The No Database option is available if you choose to use an alternative data store. For example, you can use a utility instance and create your own data store. Or you can use this option along with a database offering from the Engine Yard add-on program. You must have upgraded your stack since May 15, 2012 to access this feature. If you have an existing environment with a non-used database and you want to remove that database, contact Engine Yard Support. For more information, see the Engine Yard Blog. Fixes Passenger worker memory monitor: overgrown worker processes will once again be culled. Resque workers no longer fail because of assuming rake is in Gemfile. DJ workers now explicitly uses bundler if Gemfile is present. Adds support for QUEUES environmental variable in Resque configuration. Cleans up Nginx Passenger configs when user switches to a different app server. Fixes missing server monitor daemon when using the new add-on version of New Relic. Fixes unexpected restart encountered when starting MySQL when a database repair is required. Support has been restored for users with single instances who have accounts with stunnel enabled. JRuby now uses built-in RubyGems for improved compatibility. Ruby Enterprise Edition (REE) now supports threads. Enhanced security for new 32-bit AMI instances. For more information, see Engine Yard Cloud default change below. Action: On existing JRuby environments, you need to stop then start any existing Ruby processes after the upgrade. Action: The next time you create a new environment, you will get the new AMI by default. Allows several different instance types. Third extended file system (ext3) reliability upgrades. Improved boot time (~1-2 minutes on average). Fixed detection of Unicorn gem in Gemfile so it no longer fails when using tabs. Restored X-Forwarded-Proto for single instance environments where stunnel was enabled. Fixed race condition in memcached recipe where a failed update would cause an empty server list, causing an error and not allow an update. Configurations for ssmtp are now symlinked to EBS on utility instances. Chef method enabled_package now works without requiring a version. For more information, see Customize Your Environment with Chef Recipes. Adding multiple instances at once means that you no longer need to serially add instances, waiting for separate Chef runs and cluster reconfiguration each time. This feature allows you the ability to scale quickly, as needed, based on your unique app and environment. Next to the Add cluster feature, click Enable. The next time you click the Add button on the environment UI, you will have the ability to add multiple application or utility instances at once. Verify that you will not exceed your current limit for additional instances; read the note at the top of the page. If you need to increase your limit, click the link to open a ticket with Engine Yard Support. (Optional) Select a specific availability zone or allow Engine Yard Cloud to distribute the new instances for you. Continue to add application, database, or utility instances. See below. Select the number of application instances you need to add. 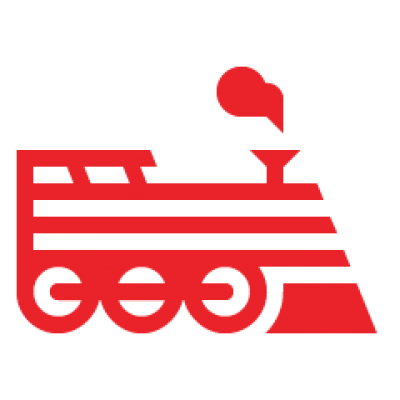 Engine Yard Cloud adds and configures your new application instances in parallel. After the new instances have been added, the entire cluster is then reconfigured to recognize the new app instances. You can add multiple utility instances at a time. You should give each new utility instance a meaningful name. Name the first utility instance. The new instance name and specifications appear in the list. Repeat steps 1-3 until you are finished specifying the utility instances to add. Engine Yard Cloud adds and configures your new utility instances in parallel. After the new instances have been added, the entire cluster is then reconfigured to recognize the new instances.